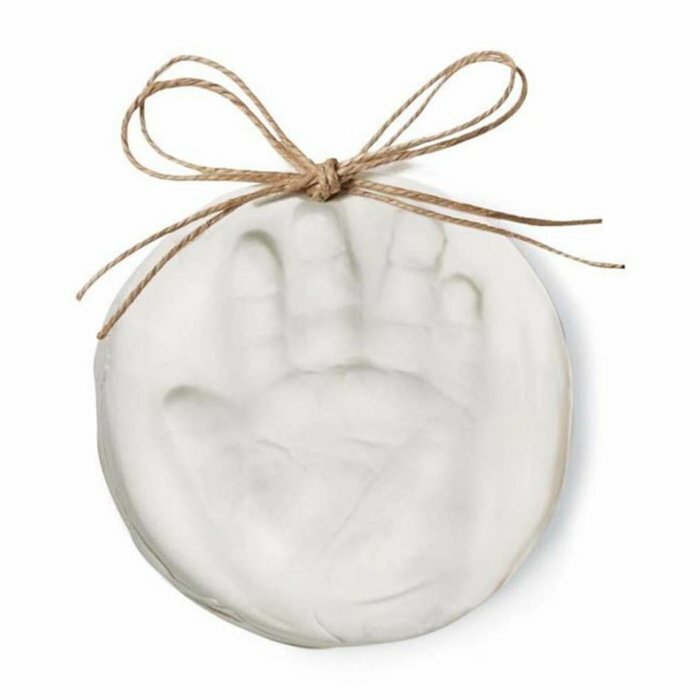 Create a lasting keepsake ornament with an impression of baby's handprint. 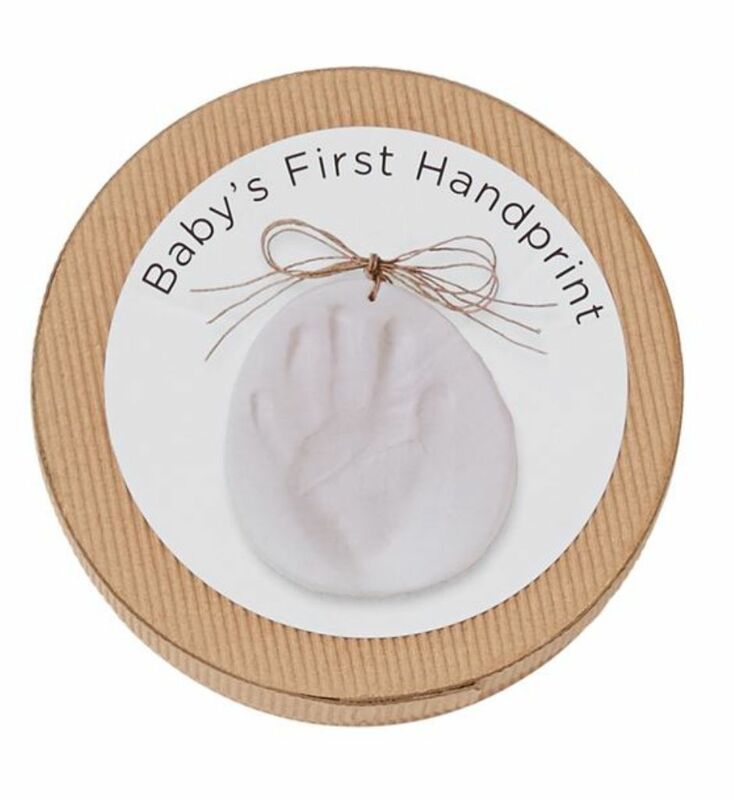 Set includes all you need with air-dry clay and no mess process. 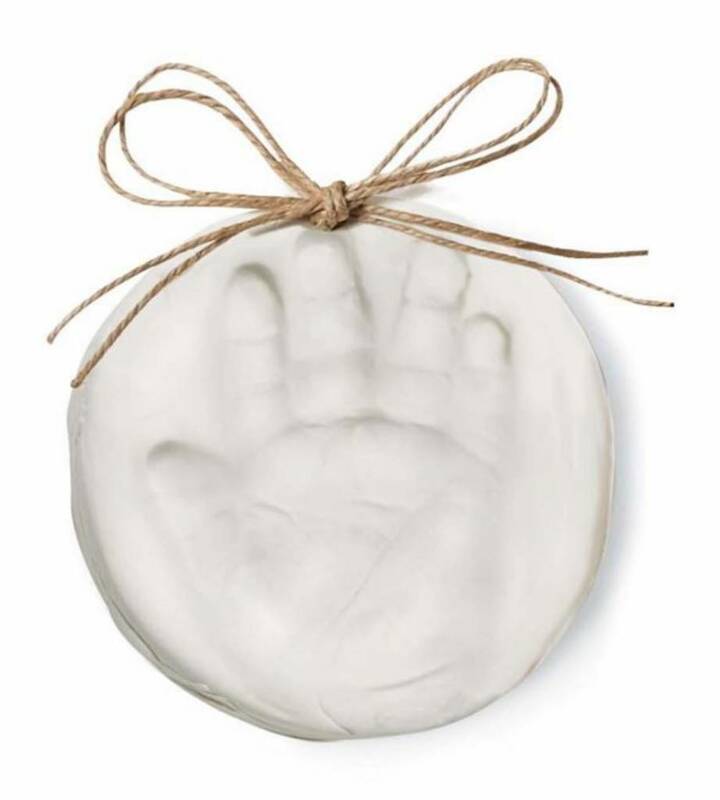 Make one impression of baby's hand; hang up with twine, included. 5" diameter. 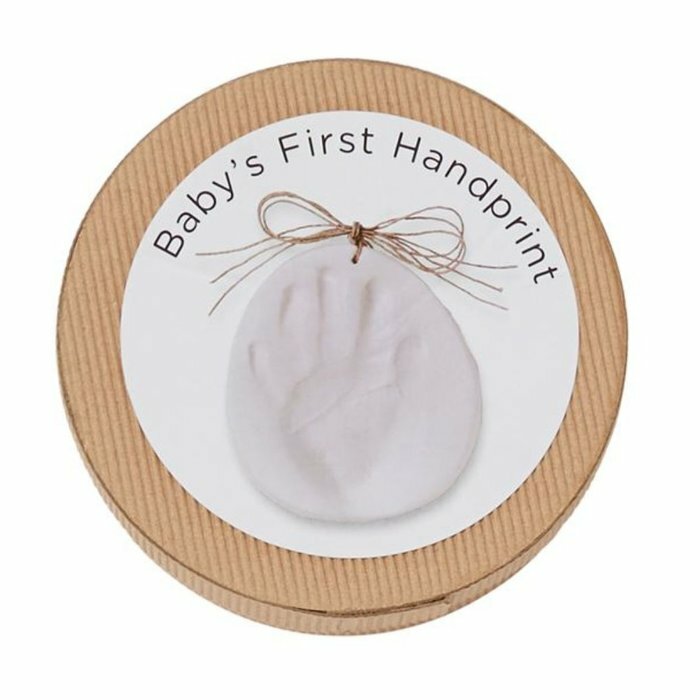 A unique gift for a special baby. RETURN/EXCHANGE POLICY --> NO REFUNDS, ONLY EXCHANGES OR IN-STORE CREDIT! You have a generous 14 day exchange policy. Please make sure you keep your paper/digital receipt, keep all the tags on the items. Clothing cannot come back smelling like cigarette smoke or have pet hair all over it. Clothing cannot have been worn out to an event and be returned. Clothing cannot have been washed and returned. We offer FREE REPAIRS for Life on Jewelry we sell. If it can be fixed, we'll fix it for free. We sell Fashion Jewelry, it is designed to wear out sooner or later. Shoes/Boots/Flip Flops cannot be returned with wear marks on them. Customer is responsible for shipping both ways unless otherwise discussed with an Owner.